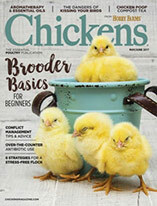 City peeps raise chickens for many reasons that can vary from one backyard coop to the next. If you’re thinking about taking on a flock of your own, give serious consideration to the benefits it will bring you and your homestead. Here are the reasons I think chicken keeping is so great. Raising urban chickens has become an urban hobby, but our busy city lives require that everything we do is close by. While we live close to all the things we like do, we secretly want to escape to a simpler way of life without giving up city convenience. I use the word “taste” figuratively, of course. Wild animal predators and falling into mole holes isn’t my thing. My taste of the country is more like a bite-sized hors d’oeuvre than a chicken-fried steak and home fries. I want my organic, free-range rainbow of eggs and my over-priced, sustainably sourced lattes with too much liquid sugar. Urban chicken farmers want it all. Chickens are hilarious! We had an outdoor cat that would bring home slain mice from the field on the other side of our fence. When Lily left her offering at the back door, one hen would always steal it. The entire flock would chase the hen with the goods, fighting over it until the others gave up and one became the clear winner. Lily would wander off, defeated. Chickens are omnivores just like humans, but their tastes are a little less refined. They’ll eat what you won’t, like mosquitos, crickets, slugs, grubs and spiders. Pests provide nutritious food that supplement your flock’s diet. 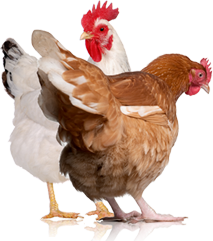 When your flock dines on these pests, the yard becomes a bug-reduced oasis, sprinkled with chicken manure. Urban chicken keepers usually can’t produce enough to sell at a farmers’ market, but the coolest solution to backyard overabundance I’ve seen is the honor box. 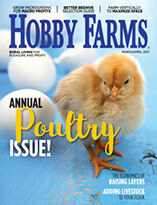 Whether sold from a cooler or a fancy, permanent yard stand, the chicken farmer posts a price and current inventory. Then neighbors and friends can help themselves to your extra eggs, and on their honor, they leave the correct amount of cash for your goods. That’s, at least, the idea. We keep any pet for the pleasure of companionship and caring for other living things. Sometimes, they enjoy us, too. I haven’t been fortunate enough to have a lap chicken, but my Australorp is my friendliest, most outgoing hen. Sitting on the back patio with a cool drink in the summer, Helen likes to hop up and roost on the arm of my patio chair, and of course, we talk girl talk in chicken. I’ll never be able to do with my German Shepherd. Why do you keep chickens?